Seeming's cavernous music fuses masterful songwriting with explosive and strange passion. The electronic duo's debut Madness & Extinction is a foreboding opus, equal parts chaotic rage and melodic sweetness. Standout tracks "The Eyes of Extinction" and "Goodnight London" are essentials on any 2014 mixtape for the black-clad set, and "The Burial" is the bleakest pop single you'll ever dance to. Seeming's members are both veterans of acclaimed darkwave act ThouShaltNot: Alex Reed (author of Assimilate: A Critical History of Industrial Music) and drummer Aaron Fuleki. 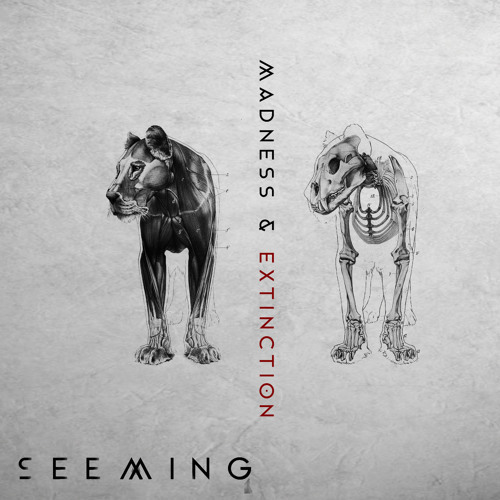 A post-gothic meditation on insanity, history, and the earth in crisis, Madness & Extinction announces the bold arrival of Seeming.